Here it is ladies and gentlemen. The crème de la crème. The Android apps that stand alone at the top of the pantheon. These apps have become ubiquitous with Android and if you’re looking for good stuff it’s assumed that you have some of this stuff already. There are a ton of amazing Android apps out there. However, their usefulness is usually limited to the habits of the people using them. These apps shouldn’t have those problems. Everybody can use these. 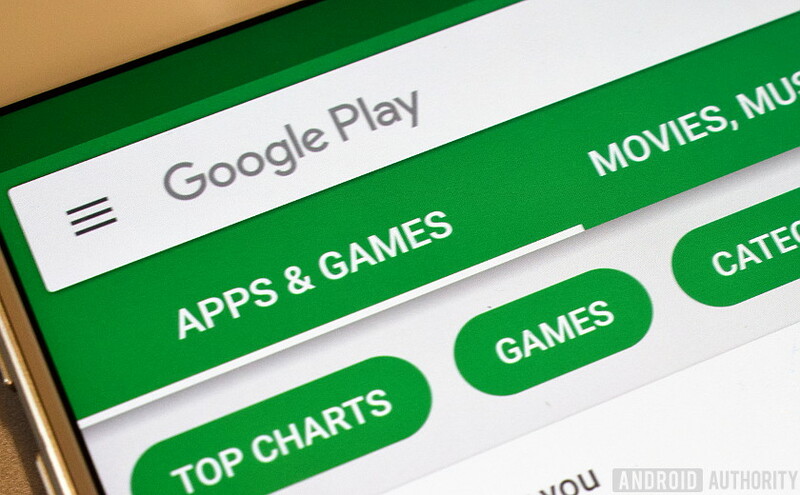 Without further delay, here are the best Android apps currently available! This is not a diamond-in-the-rough kind of list. You should be relatively familiar with all of these. 1Weather is arguably the best weather app out there. It features a simple, paginated design that shows you the current weather, forecast for up to 12 weeks, a radar, and other fun stats. Along with that, you’ll get a fairly decent set of lightly customizable widgets and the standard stuff like severe weather notifications and a radar so you can see the storms approaching. Perhaps its best feature is its minimal design which just shows you the weather (and fun facts, if you want). The free version has all of the features. The $1.99 charge removes advertising. Otherwise the two versions work the same way. Most will also likely enjoy the range of weather fun facts the app offers as well. Other great weather apps include Dark Sky, Weather Underground, and Today Weather. Bouncer was our pick for the best new Android app from 2018. It's a security app with a unique premise. The app lets you grant temporary permissions to applications. So, for instance, you can let Facebook access your location long enough to check into a place, and Bouncer disables the permission once you leave Facebook. This is a great way to use all of the features of a social media app without digging into your settings to disable those permissions or giving those apps permanent access to your information. The app runs for $0.99 and should work on most (if not all) apps. It's rumored that this could be an Android Q feature. If that's true, then even Google really likes this app. Google Drive is a cloud storage solution available on Android where all new users get 15GB for free permanently upon signing up. You can, of course, buy more if needed. What makes Google Drive so special are the suite of Android apps that are attached to it. They include Google Docs, Google Sheets, Google Slides, Google Photos, Gmail, Google Calendar, and Google Keep. Between the office apps, the Photos app (which allows unlimited photo and video backup), and Keep for note taking, you have apps for practically anything you need to do in terms of productivity. Some of the features of these apps include live collaboration, deep sharing features, and compatibility with Microsoft Office documents. Microsoft Office has a similar setup with OneDrive and Office. That makes them a great alternative for Google Drive. However, Google's solution is just easier to use. Google Maps virtually owns the navigation apps scene and it remains of the best Android apps ever. It gets frequent, almost weekly updates that seem to only add to its incredibly generous list of existing features. Aside from the very basics, Google Maps gives you access to places of interest, traffic data, directions to things like rest stops or gas stations, and they even let you have offline maps now (albiet temporarily). If you add to that the Waze experience, which includes tons of its own features, and you won’t need another navigation app. Ever. Google also owns and operates Waze. It's unique and fun in ways that Google Maps isn't and we also highly recommend it. This is one seriously powerful app. It also works on most Android devices. You simply download the app and then enable it. From there, you can ask it whatever you want. It also supports a variety of commands. You can control lights, ask about population control, and it can even do simple math problems for you. There are a variety of products like Google, Bose QC II Bluetooth headphones, Home and Chromecast that extent the functionality even further. There is also a second Google Assistant app for those who want a quick launch icon on the home screen. The hardware stuff costs money, but Google Assistant is free. Amazon Alexa is another excellent app in this space, but it doesn't support Google Android quite as much as we would like, yet. Here are some more related app lists for you! We don't typically recommend streaming services to people. Everyone has their preferences and saying that one is better than another is a matter of opinion at this point. Except for Google Play Music. The app can read both your local files and the music you like online. Additionally, you can upload tens of thousands of songs to the service for free. YouTube is kind of a given. There's more content there than a human person can watch in several lifetimes. That includes music videos, educational videos, news videos, reviews, video game let's plays, and a whole lot more. YouTube Music is also now a thing. However, it's not quite as good as Google Play Music yet. We expect the service to improve dramatically over the next year. They are the best music and video streaming package on mobile as long as they remain tied together. Spotify, Apple Music, and Tidal are also great music streaming services, especially if you want better sounding music. Ever wish you could download YouTube for offline use? Is it legal? Click through to find out. LastPass is one of those must-have Android apps. It's a password manager that lets you save your login credentials in a safe, secure way. On top of that, it can help generate nearly impossible passwords for you to use on your accounts. It's all controlled with a master password. It has cross-platform support so you can use it on computers, mobile devices, tablets, or whatever. There are others, but LastPass always feels like it's one step ahead. Additionally, the premium version is cheap. You can also grab LastPass Authenticator to go along with it for added security. There are other great options like 1Password, Dashlane, KeepassDroid, and others that are just about as good. However, LastPass feels a little more friendly and secure (usually), especially with its extra authenticator app. Initially, we weren’t going to put any launchers on this list. Nova Launcher seems to be extend beyond what normal launchers are. It’s been around for years, it’s been consistently updated, and thus it’s never not been a great option for a launcher replacement. It comes with a host of features, including the ability to backup and restore your home screen set ups, icon theming for all of your Android apps, tons of customization elements for the home screen and app drawer, and more. You can even make it look like the Pixel Launcher if you want to. If you go premium, you can tack on gesture controls, unread count badges for apps, and icon swipe actions. Those looking for something simpler may want to try Lawnchair Launcher, Hyperion Launcher, and Rootless Launcher as well. Those who enjoy podcasts probably have the easiest decision in regards to which podcast app that should use. The answer to that question is Pocket Casts. This insanely stable and good looking app allows you to download or stream various podcasts for your enjoyment. It features both audio-only and video podcast support so you can catch up on just about anything. There is also a light and dark theme, a sign-in feature so you can sync your podcasts across devices, and a pretty decent recommendations function. 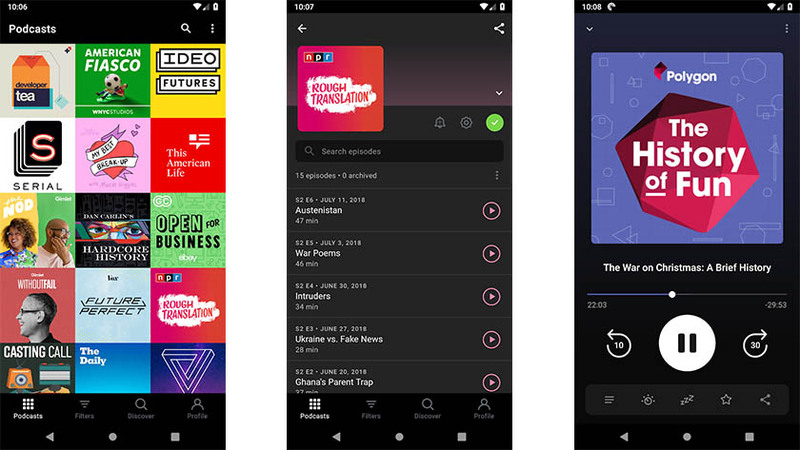 It underwent a redesign in 2019 that is a bit polarizing, but it's still an excellent podcast app. There are a ton of great SMS apps. However, two stand above the rest. They are Pulse SMS and Android Messages. Pulse SMS features theming, GIF support, password protected conversations, a blacklist for spammers, dual-SIM support, and more. Android Messages is a little more basic but it's simple and it gets the job done. Both of these apps also offer SMS messaging from your desktop. Pulse charges either a monthly subscription or a single $10.99 charge while Android Messages is free. Pulse SMS uses a server structure while Android Messages live streams your messages. Both methods have their pros and cons, but they're both still excellent options. These are the SMS apps we'd recommend to everybody. Those who don't care about texting from a computer can still use these and people seem to like Textra a lot as well. Or maybe you're looking for some excellent hardware? File browsing is something everyone inevitably has (or wants) to do, so you might as well do it with a capable, fantastic file browser. Solid Explorer is pretty much as good as it gets in the file explorer apps realm. It features Material Design, archiving support, support for the most popular cloud services, and even some more power user stuff like FTP, SFPT, WebDav, and SMB/CIFS support. It looks great, it’s incredibly stable, and it just works well. There is a 14-day free trial with a $2.99 price tag at the end of it. This is, by far, the best file manager on Android for most people. SwiftKey Keyboard is one of the most powerful and customizable third-party keyboards available. It hit the market several years ago with a predictive engine unlike anything any other keyboard had and the app has grown a lot of over the years. It’s a free download and you can purchase themes for it if you want to. Other features include a dedicated number row, SwiftKey Flow which allows for gesture typing, multiple language support, cross-device syncing of your library and much more. It’s about as good as it gets in the keyboard space. It’s true that Microsoft now owns SwiftKey, but so far they have managed not to mess it up. Gboard, Google's keyboard app, is also exceptionally good and is an excruciatingly close second place here. Tasker is a glorious application if you have the patience to learn how to use the app. What it does is allow users to create custom made commands and then use them in various places. There are many apps out there that have Tasker support and you can even use Tasker to create very complex commands for NFC tags. It’s difficult to truly explain what this app can do because it can do so many things. Between the apps supported, plugins you an add, and the sheer volume of stuff that you can do, there aren't many apps out there as useful as this one. IFTTT is another excellent automation app. In some cases, it may even be better than Tasker thanks to its simplicity and wide range of uses. TickTick isn't as popular as other to-do list apps. However, it may be the best one. It covers the basics like recurring tasks, reminders, push notifications, various organizational features, and categories. The app also lets you share tasks and entire categories with other people. This makes it great for family use, small teams at work, or other such groups. It's also great for stuff like grocery lists. 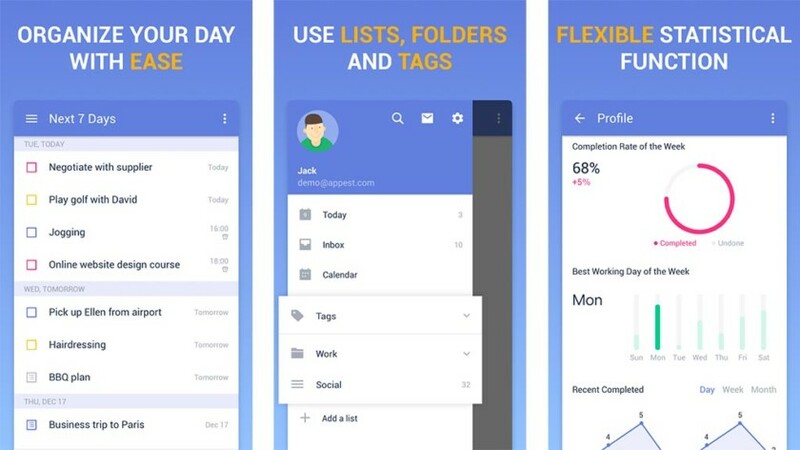 The to-do list app is full of excellent choices, like Todoist, gTasks, and Ike along with more professional options like Asana, Trello, and others. However, TickTick just seems to strike that perfect balance of functional while still being easy to use and all of its most important features are free. Todoist is perhaps the most fashionable option because it's a lot flashier. However, it hides all reminders behind a paywall and TickTick doesn't. Sorry, Todoist! Last, but certainly not least on our list is Zedge. This is a wallpapers, ringtones, notification tones, and alarm tones app that gives you an unbelievable number of options to customize the most basic parts of your device. On top of having an exhaustive collection of things, Zedge also promotes various items during holiday seasons making it easy to theme your phone up for Christmas, Halloween, and other holidays. It’s not 100% perfect. It does have the occasional bug and some irritating advertisements. Zedge Premium is a new initiative to provide premium content at a reasonable price. You watch ads or fill out surveys to earn Zedge credits. You can buy them as well with in-app purchases. It's a good way to support the developer and the artists. We also recommend Walli (with an i) for wallpapers. Thank you for reading! Here are some more app lists you might like! If we missed any of the best Android apps, tell us about them in the comments below! You can also click here to check out our latest Android app and game lists!